Home \ TOP GEAR \ Are you looking for a fat lip? Are you looking for a fat lip? 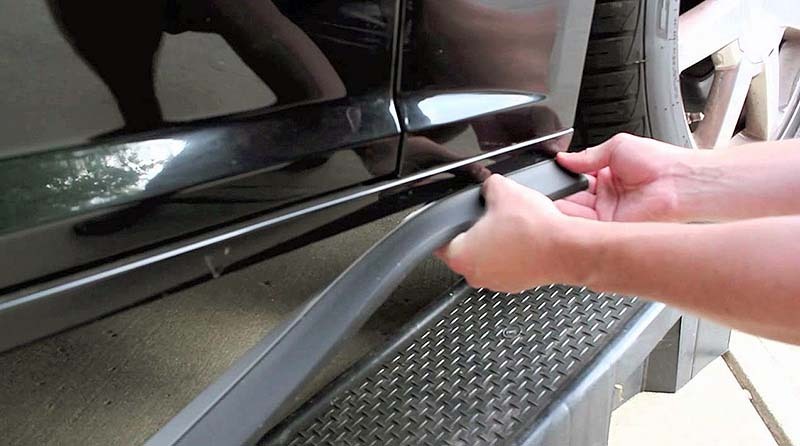 All-Fit Automotive is a company markets custom-fit, yet inexpensive, front and rear lower lips and side skirts to your vehicle to change its appearance and provide paint protection. The flexible rubber-like material comes in various lengths and in 1.5-, 2.5- and 3.5-inch widths (which equates to the size of the lip you want). You can also select from black, silver, pink, red, dark gray and white. Installation uses 3M’s peel-and-stick Heat Bonded Tape along with screws and washers that attach underneath the lip at 12-inch intervals. Pricing begins at $120 for 30 feet of the 1.5-inch-width material in black (some colors cost slightly more). View the installation video and choose your sizes and colors at www.allfitautomotive.com.